NACE Calgary Section Non-Metallic and Composite Materials Symposium. 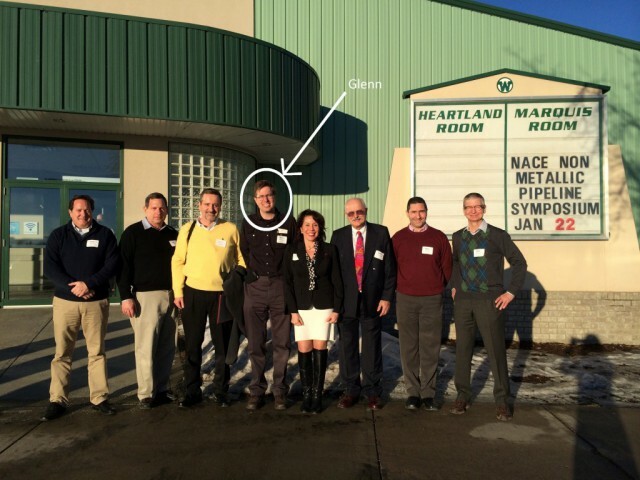 Thanks to Glenn Roemer for showing his non-metallic savvy during this successful symposium on January 22, 2015 in Red Deer. 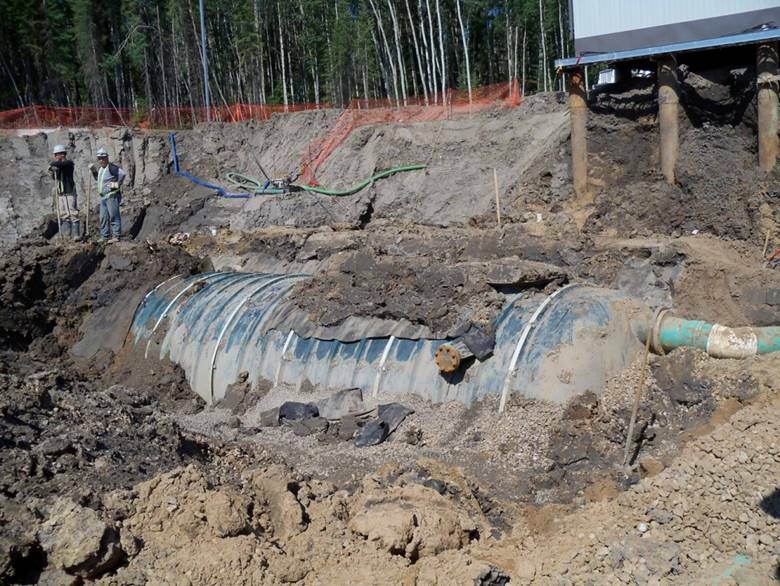 IRISNDT Engineering Services in Calgary is developing a new methodology for axial flaw assessment for oil and gas pipelines. Preliminary studies show it is applicable to both crack-like and localized metal loss flaws. The core of the methodology is the Gamma Exponent Model, or “GEM”. 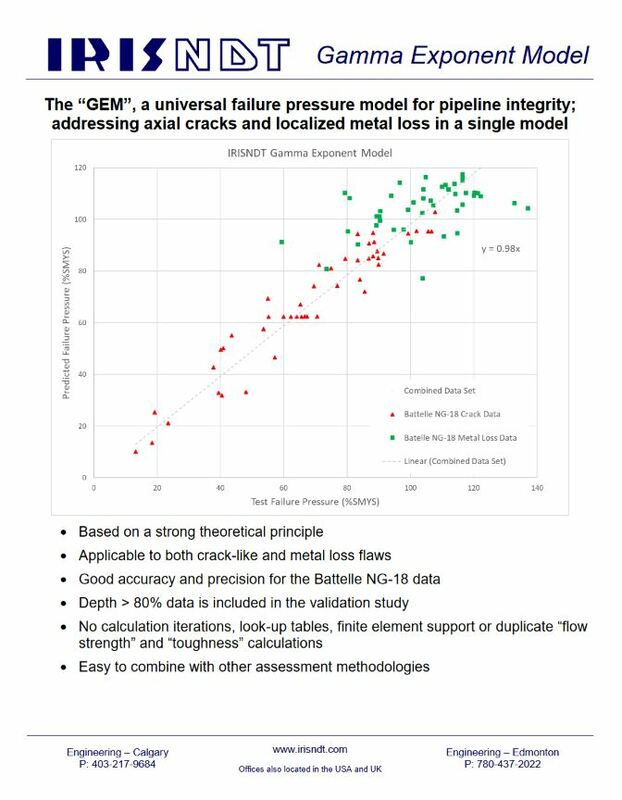 The GEM shows good agreement to the data from the original Battelle NG-18 test data. 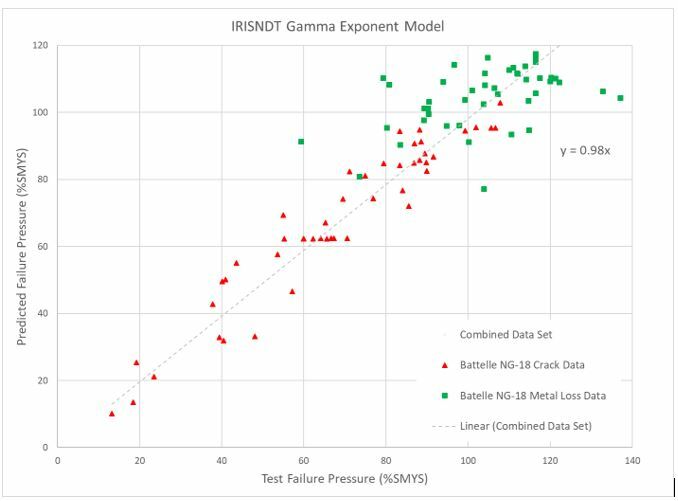 The Gamma Exponent Model was created when the developer recognized the original log-secant models were derived assuming crack length is the driving force for failure. This is not technically correct for a part through-wall flaw. 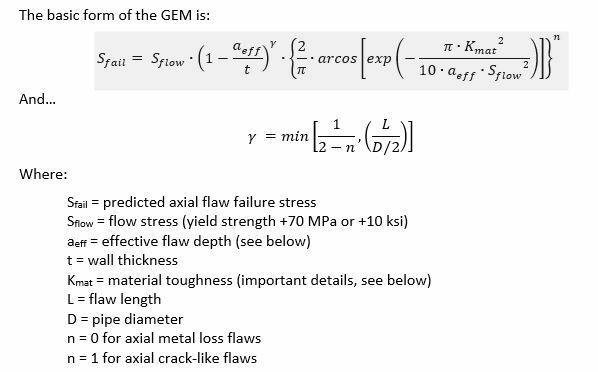 The GEM was derived assuming crack depth is the driving force for failure. This is technically more correct for a part through-wall flaw. The derivation of the GEM mirrors that of the original log secant model, but with some key differences. When the 1.12 edge factor is squared, it becomes approximately 1.25, which then turns the typical 8 factor in the original log-secant model into a 10 factor. When the secant term for the finite wall thickness of the pipe is propagated through the derivation, it leads to a “secant/secant” ratio that can be shown to be approximately equal to [t/(t-a)]. This new term propagates through the derivation to become the remaining ligament term (1-a/t). The gamma exponent is a semi-empirical term used to account for flaw length. The derivation also suggests limits on the gamma term of “one” for sharp flaws and “half” for blunt flaws. Preliminary validation studies appear to support this concept. 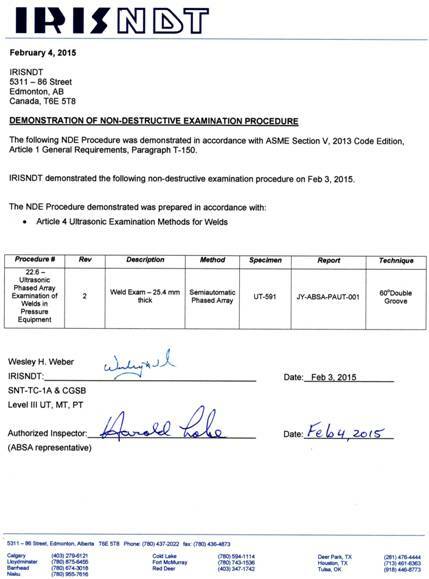 The GEM has been validated against the original Battelle NG-18 crack and metal loss test data, as shown above [References ASTM STP536 1973 and AGA 5th Symposium 1974]. Validation studies are underway using in-service failure data. Preliminary studies indicate the flaw depth can be modified by a (π/4) term to account for the semi-elliptical shape of a growing fatigue or SCC flaw. 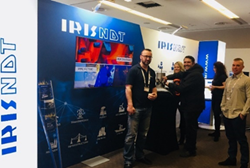 An SCC flaw depth may be further modified by a 0.88 factor following the IRISNDT Engineering Services PRISM Methodology (currently unpublished). 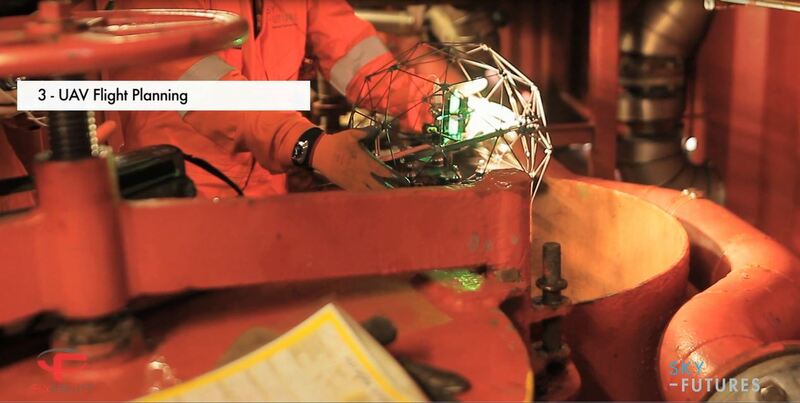 Preliminary studies were validated using the 5% lower bound Wallin J toughness correlation [Reference API 579]. The average Wallin J correlation may lead to non-conservative results. The Rolfe-Novak toughness correlations may lead to overly-conservative results.